Lucille Lewin's work takes a closer look at naturally occurring phenomena. With great attention to detail, Lewin's pieces simulate a microscopic view of nature, where intricate features become discernible to the naked eye. 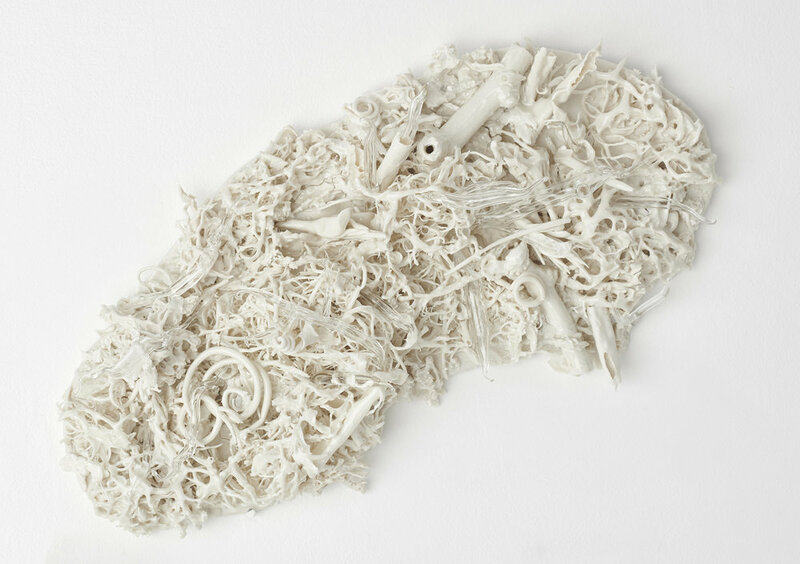 Porcelain and glass give each piece a biomorphic appearance that mimics organisms and matter evolving simultaneously, the fragile material exemplifying vulnerability. The formation in the material produces movement, making the sculpture reflective echoing a sense of a specimen preserved amidst being in motion. Lewin's intricate sculptures use Karl Blossfeldt's groundbreaking photography of nature as reference. Her collections Alchemical Bodies and The Time Between Time take the chemistry behind nature evolving and make it a metaphor for human life. We begin to grow after a struggle, but over time we develop enough resilience to pursue more as we continue to thrive. Our fragility evolves as we learn through experience when to and when not to give in to our vulnerability while trying to achieve and move towards a bigger goal. Lewin holds an understanding of life in terms of overcoming obstacles, adapting, and continuing to thrive. Lewin's work will be presented by Young Masters and The Cynthia Corbett Gallery at London Art Fair in January 2019 and Collect at the Saatchi Gallery in February 2019.